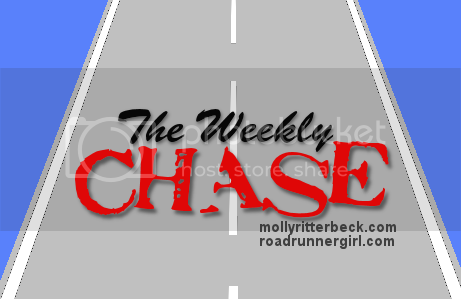 Road Runner Girl: The Weekly Chase #44! Happy Monday!!! This weekend was great! We had some cooler weather and it felt amazing! 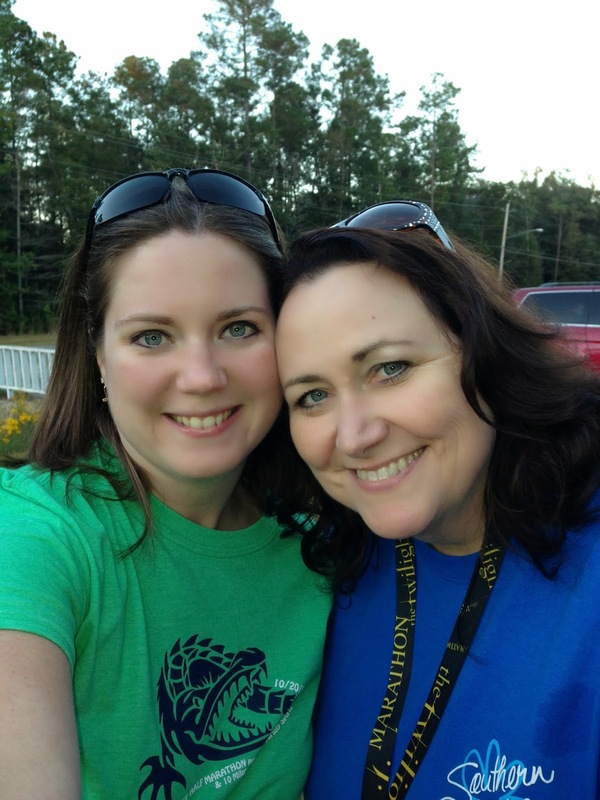 I ran/walked the Turkey Trot fun run with my family and then I spent the rest of the weekend with my best friend Rhonda. Rhonda and I even walked 5 miles! It was a great weekend! This afternoon I am going to see my sports chiropractor Dr. Justin about my knee and hip. Both are feeling much better after all the rest I have taken from running. But I still want to get them checked out since I have so many races on the horizon. I'll tell you all about my appointment later! It's time for the Weekly Chase! I'm ready to tell you all about my goals this week! I hope you will link up your own goals with us too! Goal #1: Rest and recover from my half marathon. Yes! I didn't run at all last week except for the little bit I ran during the 1 mile fun run with the family on Saturday. I was pretty sore from the half on Monday and Tuesday but then all was good except for the knee pain. Goal #3: Cook dinner at home 3-4 times this week. Yes! It was nice having some homecooked meals this week instead of eating out so much! Here are the goals I will be working on this week! Goal #1: Follow what ever directions Dr. Justin gives me concerning my knee and hip. I'm hoping he will let me run this week. There's a 10K race on Saturday that I'd really like to do but I will have to wait and see what he says. Goal #2: Roll and stretch daily. An ongoing goal! Goal #3: Help make Halloween fun for my boys. I love Halloween! I hope I can make it a fun time for the boys! I know we will be going trick or treating for sure! So that's the plan for the week! I'm really hoping I get great news today about my knee and hip!! Fingers crossed! This girl just wants to run!!! QOTD: What are your goals this week? Any suggestions on how to make my hubby's birthday special?